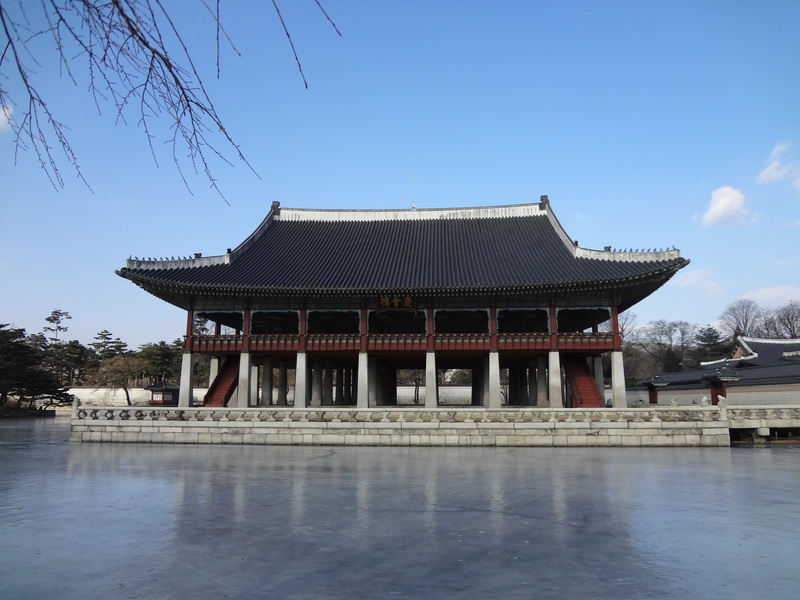 Gyeongokbokgung (Palace Greatly Blessed by Heaven) was built in 1395 and served as the main palace for more than 500 years. It was burned by the Japanese in 1592. Since 1990, efforts have been taken to restore it to its former glory. It’s such a beautiful palace. A bout of déjà vu came upon me, taking me back when I visited the Forbidden City in Beijing almost 11 years ago. They felt similar mainly because of scale—it seemed to take forever to cover all of it. One of my favorite parts is the Gyeonghoeru Pavilion, where the king gave formal banquets for foreign envoys—it’s like the royal party club. In the winter, the water around it freezes and gives the impression that it’s floating on ice. Another lovely spot is Hyangwonjeong, a small pavilion that stands out because of its smallness in contrast to its neighboring Goliath structures. 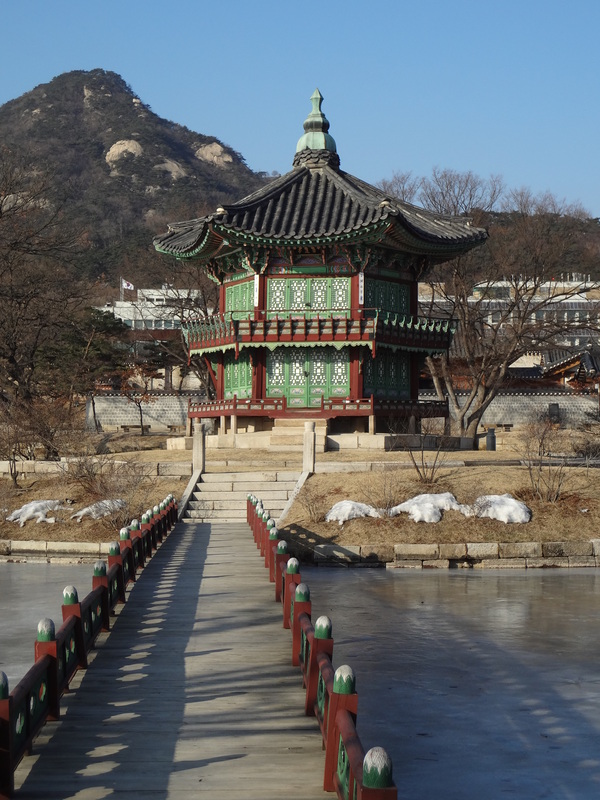 Behind it is another palace, Geoncheonggung, where Queen Myeongseong was killed in an assassination plot by the Japanese. Hyangwonjeong pavilion. Isn’t she lovely? During my exploration, I came across a total of four magpies. The magpie is South Korea’s official bird. I am so in love with this city. May good fortune befall all of us!